Bremerton will get a visit from the submarine that bears the city’s name this week. On Wednesday, the Los Angeles-class fast-attack submarine, currently home-ported in Pearl Harbor, will dock at Naval Base Kitsap for a short visit. She last visited Bremerton in May 2012, almost three years ago. While here, the crew plans to meet with local dignitaries, host recruits and even volunteer in a park cleanup. Fast-attack submarines like Bremerton are designed to seek and destroy enemy submarines and surface ships, carry out intelligence, surveillance, and reconnaissance missions, support aircraft carrier and expeditionary strike groups, and engage in mine warfare. 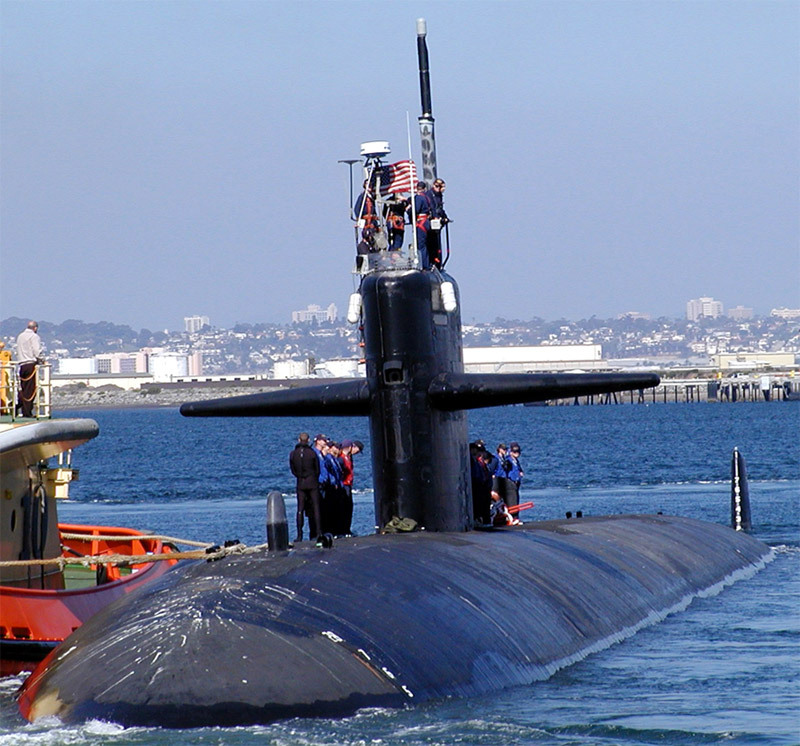 The sub, which carries more than 130 sailors, is the oldest in the U.S. fleet. It is the second vessel in Navy history to bear the name Bremerton, and the 11th submarine of the Los Angeles class. The first USS Bremerton, a Baltimore class heavy cruiser, saw action in the Korean war. One final factoid that probably only I will find intriguing is that the Bremerton was commissioned on March 28, 1981 — which happens to be the day this blogger was born. The Richard O’Kane Cribbage Board has been held by the USS Bremerton since February 2010. The tradition is that the oldest active submarine in the US Fleet keeps this ceremonial cribbage board. The board was previously held by the USS Los Angeles. I love this tradition, Greg! Have you seen it or played on it? No, Josh. Unfortunately I do not have that type of access to the wardroom of LA-class submarines. Understood. Neither do I, but today, I got to go aboard and witness the Cribbage Board with my own eyes. I got lots of photos; we’ll have a story soon about it. Great tip, Greg!